Sony Pictures Release Second Trailer for Rian Johnson's Futuristic Action-Thriller 'LOOPER'! Sony Pictures have revealed a second trailer for Rian Johnson's futurist action thriller Looper. The movie stars Bruce Willis, Joseph Gordon-Levitt, Emily Blunt, Paul Dano, Noah Segan, Piper Perabo & Jeff Daniels. 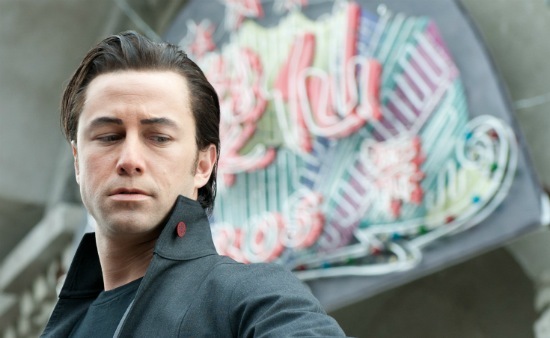 In Looper, time travel is possible but illegal & only available on the black market. When the mob wants to get rid of someone, they will send their target 30 years into the past, where a 'looper' aka hired gun, like Joe [Gordon-Levitt] is waiting to clean up. Joe is getting rich and life is good… until the day the mob decides to “close the loop,” sending back Joe’s future self [Willis] for assassination. Looper is written and directed by Rian Johnson & hits theaters this September 28th. Hit the jump for the details. I'm reading: Sony Pictures Release Second Trailer for Rian Johnson's Futuristic Action-Thriller 'LOOPER'!Tweet this!